25mm & 50mm Deep Access Panels New to the HVAC market, Ductware’s unique 50mm deep access p.. Equipped with a unique external hinge, Ductware’s access doors provide a positive and complete seal ..
Ductmate provides a range of access panels for high-temperature air ducts and grease duct systems.&n..
Ductmate’s range of Ultimate Door™ access doors provide easy access into high-temperature air and .. The Ductmate range of panels further extends it ranging with the Observation Access Panels and Doubl.. 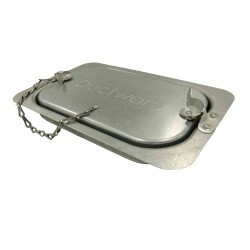 The Ductmate range of Sandwich Access Panels provide solid, leak-proof access to ducts for cleaning,..